Landing the chance to direct Star Wars: The Force Awakens must have been the opportunity of a lifetime for J.J. Abrams. Like many of us, he’s a big old Star Wars nerd and a lifelong devotee of that far, far away galaxy. But beyond that, he’s also a fan of cinema of all varieties, and his influences are wide, varied, and apparent in many of his films, traits that we will see on display in a few weeks. 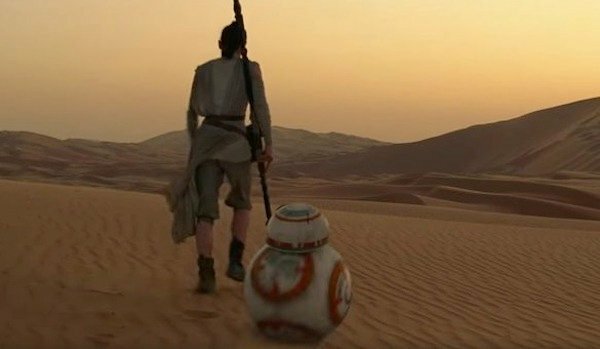 As The Force Awakens creeps ever closer, the coverage is getting thick and deep. The latest edition of Empire is all over the Star Wars beat, and when they talked to Abrams, he revealed a trio of big, yet unexpected influences on his upcoming addition to the beloved space opera. They may not be the inspiration you normally expect to find in an epic space adventure, but they’re certainly all readily apparent if you look for them. Renowned for westerns like The Searchers, Wagon Train, and The Man Who Shot Liberty Valance, among many others, John Ford is responsible for some of the biggest, boldest, most sweeping films the genre has to offer. 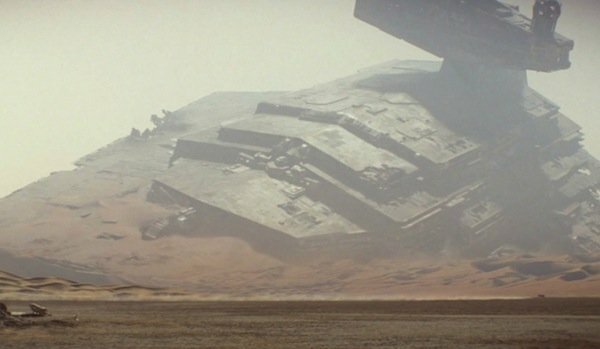 Abrams looked to "the confidence" of Ford’s films, and his use of stunning wide shots and massive, sprawling landscapes is certainly on full display in what we’ve see from The Force Awakens thus far, especially in the desert scenes on Jakku. As a saga, Star Wars has always borrowed tropes from serialized adventures of earlier cinematic days, many of which were westerns, and like George Lucas before him, Abrams also lifts from the western, and if you’re going to ape anyone, it may as well be John Ford. Akira Kurosawa is most widely known for his samurai epics like The Seven Samurai and Yojimbo, which were themselves highly influential on westerns (the former was remade in the U.S. as The Magnificent Seven, while the later was reinvented as A Fistful of Dollars). His 1963 film, High and Low, a police procedural about an executive at a shoe company full of Shakespearean themes and symbolic imagery, is what Abrams specifically cites as his influence for Star Wars, bringing the Japanese auteur’s "unbelievable scene choreography and composition" to his science fiction adventure. 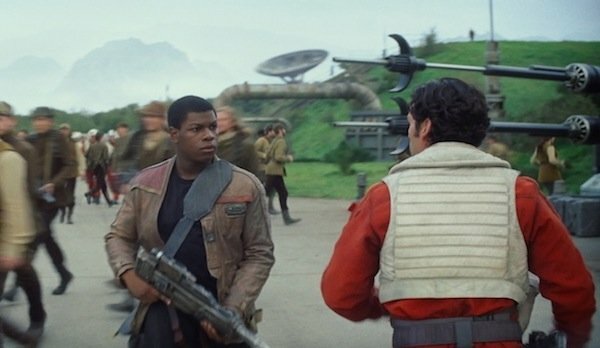 The scenes we’ve seen of the Resistance base, where Abrams’ camera swoops through the crowd, almost soaring despite being low to the ground, moving between Poe Dameron (Oscar Isaac) and Finn (John Boyega), and the intricate, meticulous staging are what this statement calls to mind. Though he’s never been a prolific filmmaker, Terrence Malick’s movies have a distinct feel and aesthetic—it’s easy to tell you’re watching one of his films, or someone mimicking his style. There’s a tranquility to many of the images he puts on screen, a quiet that nevertheless belies a great weight and tension—he’s fond of capturing seemingly peaceful moments in the midst of great chaos, like war—and J.J. Abrams deliberately studied what he called "the powerful stillness." He says, "It’s not something I would normally have though of coming to Star Wars," but it’s definitely there. We’ve heard that Rey (Daisy Ridley) was left on the desert planet Jakku by her parents, and that she lives a spare, Spartan life of solitude, and the shots of her walking across the barren landscape with BB-8, or of her eating by herself, very much apart from the life that teems around her, wear the sparse feel of Malick on their sleeves.